Tan Jia Yan took the exams as a private candidate and FaceTimed questions to accomplices who then rang students and read answers to them, prosecutors say. Ms Tan pleaded guilty to 27 charges. Three others deny charges of cheating. 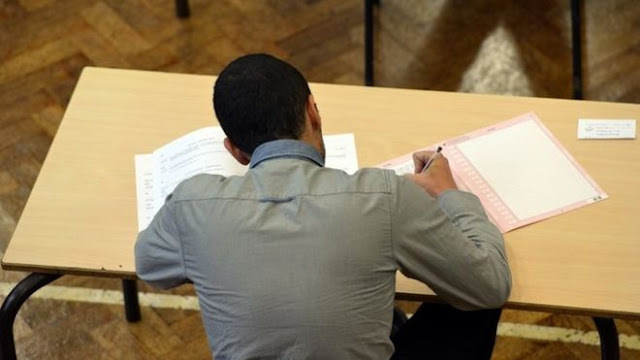 The exams were the O-levels, typically taken by students aged about 16. The plot was uncovered after an invigilator noticed unusual sounds coming from one of the students involved, prosecutors said. Prosecutors said during the opening day of the trial on Monday that Ms Tan and her accomplices had helped the six students to cheat in their exams at the Singapore Examinations and Assessment Board in October 2016. Poh Yuan Nie is alleged to have received from a Chinese national S$8,000 (£4,260; $6,100) as deposit and S$1,000 for every student referred to the Zeus Education Centre. 0 Response to "Singapore uncovers 'high-tech' exam cheating plot"